WooHoo! Happy Dance! 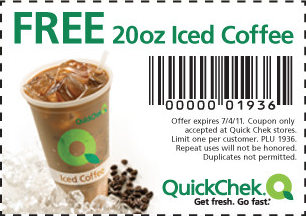 I love the new Quick Chek Coupon for the week. You can get a Free 20oz Iced Coffee! Coupon is good through 7/4/11.